Ryan; Murphy, Brennan, Maguire, Frost; Fitzpatrick (M Quigley 46), Foley, Mulcahy, O'Connor (Reilly 85); Keegan, Molloy. Forde; McCallion, Hutton, Oman, Hargan; McCourt (Cash 90), Molloy, Martyn, Brennan; O'Flynn (Beckett 70), McHugh (Farren 78). 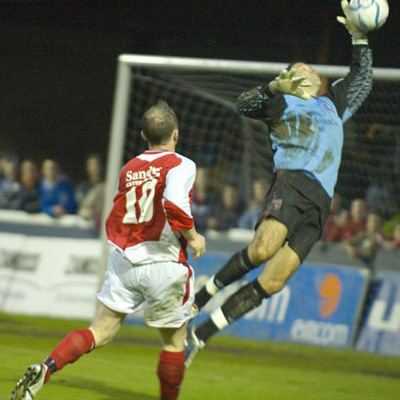 THE Saints don't use the adjective 'super' these days but as they continue the climb back towards the higher reaches of the Premier Division it can't be long before the superlatives are back in fashion around Inchicore. Manager John McDonnell is doing a superb job at St Pat's on a shoestring budget and has produced a hard-working team with Michael Foley, Trevor Molloy and Mark Quigley adding the touch of quality needed for lofty ambitions. It's a team full of character as they showed last night at Richmond Park when they bounced back from the set-back of conceding an early goal to earn a well-deserved draw. It could have been a win had they not twice been denied by the woodwork and also by a clearance off the line. As things stand, Derry's hard-earned point hoisted them to the top of the Premier Division pile, on goal difference. Derry, who came into the game on the back of five straight wins, got the perfect start after six minutes when winger Killian Brennan found Barry Molloy in the centre who left fly from 35 yards and saw his shot creep in past Barry Ryan's outstretched arm. 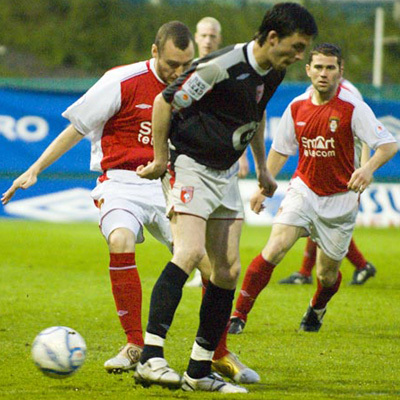 Trevor Molloy almost got an instant equaliser a minute after his namesake had put Derry ahead when he collected a throw-in from Anto Murphy and hit a curling left footed that cannoned off the crossbar with David Forde well beaten. Just before half-time Derry almost grabbed a second when Murphy missed a tackle and Kevin McHugh broke down the right before squaring to Brennan whose first time shot was saved by Barry Ryan and immediately after the break the home keeper came to the rescue again with a save from Stephen O'Flynn after another quick counter-attack. But Molloy was a thorn in the visitor's defence and almost grabbed a spectacular equaliser with a vicious volley which struck the outside of Forde's right hand post. 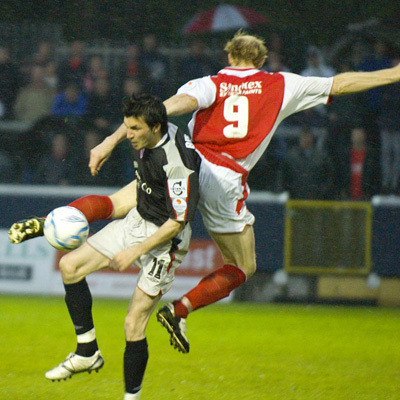 The equaliser came on 59 minutes when Molloy won a free down the right which he then took. And when the Derry 'keeper spilled his cross Keegan reacted instinctive to side-foot into the empty net for his fourth goal of the season. 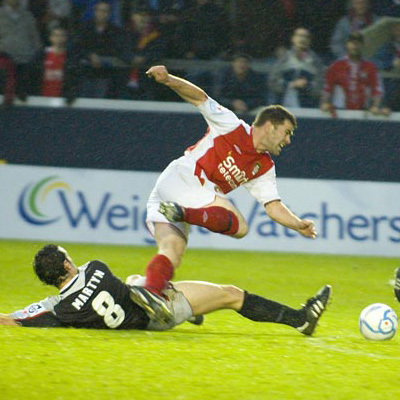 At the death, Dave Mulcahy's header was cleared off the line by Barry Molloy as the Saints pressed for a winner.